Euston Railway Station is one of the oldest railway stations in the capital of the United Kingdom, passengers using its good services since the year 1837. The only controversial aspect about it is its architecture. Some Londoners do not appreciate the renovations that Euston Railway Station has been through in the sixties. If you still want to see some historical remains, before the makeover, there are the war memorial and the statue of Robert Stephenson at your disposal. Despite its design, Euston Station has other positive features. First of all, it is situated at a nearby distance from other alternative railway stations, such as Paddington, King’s Cross and St Pancras International. This means that you can travel to any district in London, with a simple Oyster card. If you get the chance to arrive in London and actually stay in a hotel that is situated in the Euston Railway Station area, make sure to take advantage of all the beautiful sights and places that surround it. For example, you could spend an evening at a famous theatre or maybe enjoy a great movie. Locations like Bloomsbury Theatre, The New Diorama Theatre and Renoir Cinema are perfect for a successful and fun night out or for a romantic date. We should not forget to mention that you can also take long walks in the Euston Railway Station area and go visit the local attractions. Some of the most important ones is the famous British Library (96 Euston Road). For travellers or inhabitants that love to see all kinds of interesting collections, they should definitely pay a visit or two to the Wellcome Collection venue. It has three beautiful galleries that cost £30 million. As you can see, this impressive investment can only mean that you will probably spend some of your best hours in that cultural place. Another expensive location is the St Pancras Church that was finished in the year 1822. Of course, you will be delighted by its architecture and amazing design. The pieces of advice mentioned above are just some warm recommendations for a great weekend in London. It would be too bad to come here and not taste its cultural movement. We have also prepared below some means of Heathrow to Euston Railway Station Transfers. In order to get a Heathrow to Euston Station by rail, you have the train from Heathrow Airport (every 15 minutes) via Paddington (H&C) (every 5 minutes). This whole journey takes about 29 minutes. Another option would be to take the Tube from Heathrow Airport Term 1-3 (every 5 minutes). This journey will take about 53 minutes. A Heathrow to Euston Station Transfer by car can be done by taking the M4 motorway. 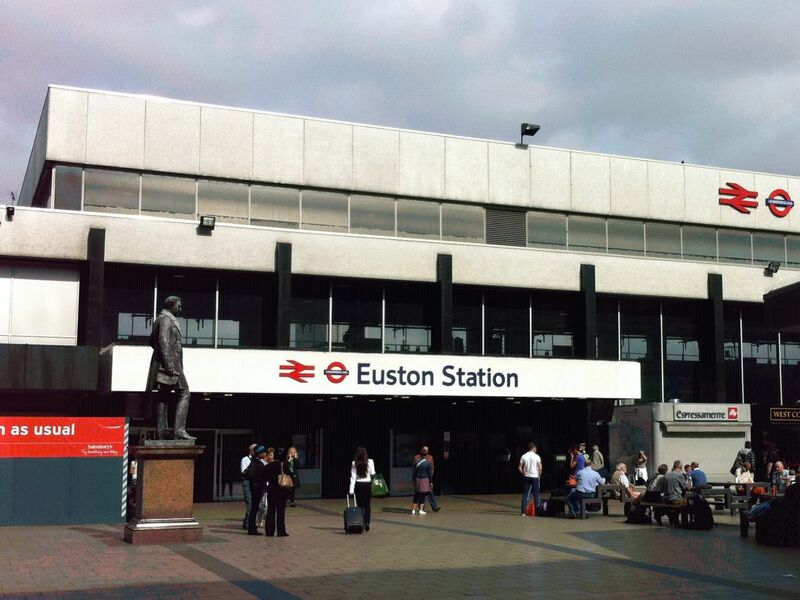 Heathrow Airport is at a 19.0 miles distance from Euston Railway Station. This journey will take about 37 minutes, without including traffic. A Heathrow to Euston Station Taxi with 247 Heathrow Airport Transfer is going to take about 53 minutes, including rush hour traffic. The price for a Heathrow to Euston Station Taxi starts from 45 GBP. With over 72 million passengers and 180 locations worldwide, London Heathrow Airport is one of the busiest airports that there is. According to Airport`s Council International, there are only six other airports that exceed its capacity. Among those are airports like Tokyo Haneda Airport, Dubai International Airport or Hartsfield–Jackson Atlanta International Airport which is on the first place. Our company is proud to take part in numerous transfers that have either the pick-up or the drop-off in Heathrow Airport. Our Heathrow to Euston station taxi services are available all year round, 24/7, transporting passengers from around the world every day. 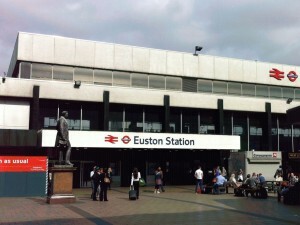 Euston Station is also high interest location as it is the fifth busiest station in the Uk. It not only provides transfers inside the United Kingdom but also to international locations such as Paris or Brussels. It is only fitted that our Heathrow to Euston station taxi services would stand up to the occasion and provide high-quality transfers to passengers that deserve to relax after having changed several means of transportation. In this sense, we made sure that none of our vehicles are older than 5 years. This is a very important criteria that we give immense attention to. We offer a wide range of vehicle types from which you can choose. Either one of them is guaranteed to bring you safely to your destination of choice but each one of them is designed to accommodate different number of passengers with different number of luggage. Starting with the saloon car that can take up to 4 passengers and ending with the 8 seater that can take up to 8 passengers, there is surely one vehicle that can satisfy your needs of travel. Do not hesitate to contact our Heathrow to Euston station taxi services as there is always an operator ready to assist. We also offer different methods of payment to make your experience more pleasant. In here we have included bank transfers, payments with the card or cash, directly to the driver.